Frustrated with lack of flexibility in their schedules and a desire to make more money, many stylists leave traditional salon settings and turn to a career as an independent contractor, both as a solution to their challenges in the salon and as a stepping stone to becoming an owner. But is the grass always greener? And is the experience in a booth rental or salon suite-setting enough to launch a career as an owner? Bebea Hanna is a stylist who has worked in both the traditional salon environment and as an independent contractor. Here, she shares her experience. 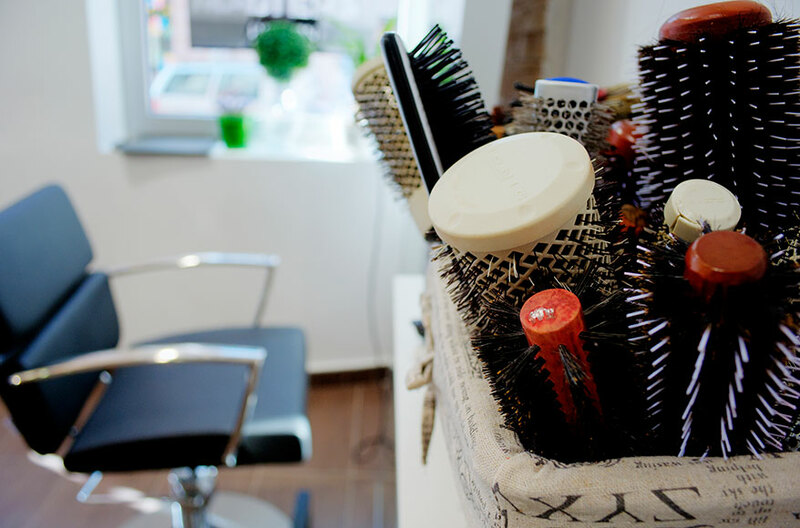 Q: WHAT MADE YOU LEAVE THE TRADITIONAL SALON ENVIRONMENT TO BE INDEPENDENT? “After having two different salon experiences that weren’t successful for various reasons, I wanted to be in control of my own environment, creativity and inventory. I thought it would be a stepping stone to see if I wanted to own a salon on a larger scale, and to see if I liked a salon dependent on just me owning the business. Q: WHAT ARE THE PROS TO BEING AN INDEPENDENT CONTRACTOR? “The freedom and flexibility to have my own schedule, and creatively to go whatever direction I wanted. I also saw it as a financial gain because I wasn’t giving up the huge percentage of money that I was in the salon. But later, I started to understand why I had to give up that part of my income. Q: WHY DID YOU GO BACK TO A TRADITIONAL SALON? “I started becoming really unprofessional in ways I wouldn’t have expected of myself. I would move appointments around for my own convenience because I had gaps in my day, without consideration of the client. At first, because the relationship is so personal, the client is understanding. And if I was sick, I’d have to call six different people to reschedule. I also started being late, and had a horrible schedule. I’d work Sundays to take off Saturdays, but end up working seven days a week. At that point I had minimum retail because I was tired of dealing with it and sales tax. And I really wanted a structured schedule so I could come to work and focus on my actual job—servicing my clients and educating them on how to take care of their home needs. I was ready to let someone more business-minded deal with scheduling and retail, and I wanted a consistent paycheck. I was getting surges of money—$10k one month and $3k the next—but with the same monthly expenses. I would turn everything I did into a write-off, but I was really just cheating myself by not paying taxes the way I should. Slowly, the perks stopped outweighing the advantages. In the beginning, I did everything possible to get clients in my chair. But I was getting burnt out and stopped taking client calls. Then I’d forget to return the call and finally got to the point I didn’t want to do hair at all. I wasn’t getting new clients, either, because I wasn’t pushing for referrals. I was in this frame of mind that I could do less work for more money because I was getting 100 percent of the profit. But if I had run it like a real business, and paid my taxes correctly, I wouldn’t have made any money. Another big reason for burnout was I stopped going to classes because I was on my own to pay for education. And when I did go, I didn’t know anyone—it would be groups of stylists from salons, and then I’d be on my own. It took a toll on my skills artistically. I also missed working next to other stylists and seeing their work. And when I did see someone else’s work, I didn’t know how they did it or what product they used. I wanted to be a part of a team where together we’re great. I didn’t want to stay in a room for years and do the same little razor cut. Q: WHAT ADVICE WOULD YOU OFFER A STYLIST CONSIDERING BECOMING INDEPENDENT? “Think about why you’re in the industry and what you need. Are you getting what you need out of it artistically? Are you keeping yourself inspired? Is the communication you have with just your clients enough? Are you ok with being isolated in a room by yourself? The ones making money are free-flowing with it, which is easy to do for a couple years, but not forever. Is it worth the integrity of your work? Are you giving the best you can? When you do an amazing haircut in the salon and people watch it, that feels good. When nobody sees it, what are the odds you are going to just give a simple trim? Your peers know the difference between a good and great haircut, and being in the salon puts you on stage with your co-workers. Most stylists want recognition and to watch other people. It’s not a natural environment to be isolated. It’s hard—while a client’s color is processing, you can’t just get your lunch out and eat, or leave them in a little room by themselves. I’m now more appreciative of the traditional salon environment and the fact that retail shelves are stocked with products available to support my work. I know why I’m giving the salon commission now—electricity, water, clean towels, maintenance, a fully-stocked color bar. These tools allow me to do my job freely, and I’m no longer resentful of my phone ringing on a Sunday, so I’m more professional with my clients.